Panjin is best known for its Red Beach (红海滩), which is the largest in the world, followed by Japan and South Korea. Food-wise, Panjin is famous for its Chinese mitten crab (大閘蟹). 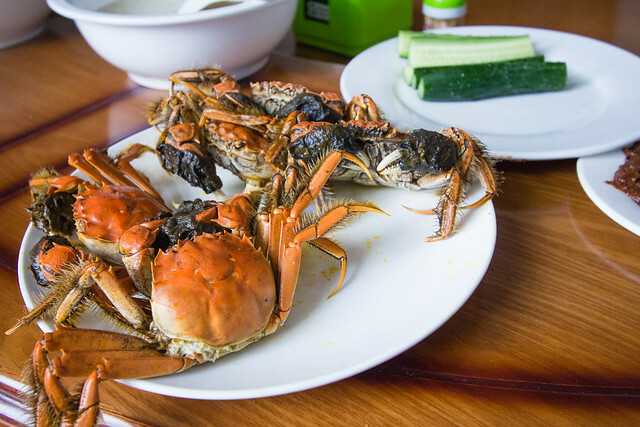 We were invited to a private restaurant for lunch, where we were served plates of Chinese mitten crabs. 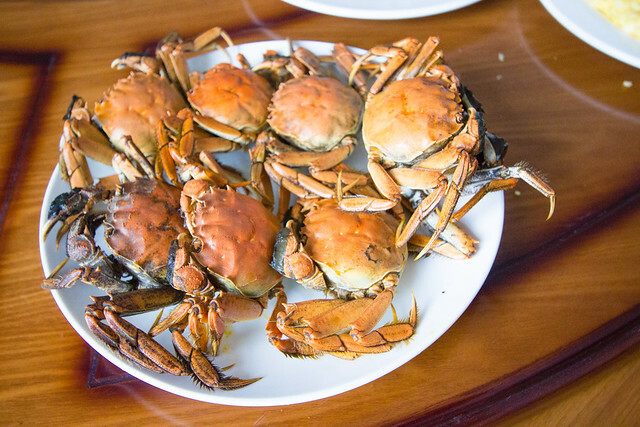 They’re much smaller than the crabs available in North America. I can easily grab one crab using only one hand. We had both male and female versions of the crab. The females have a large abdomen (shown above), while the males have a bell-shaped abdomen (shown below, on the left). 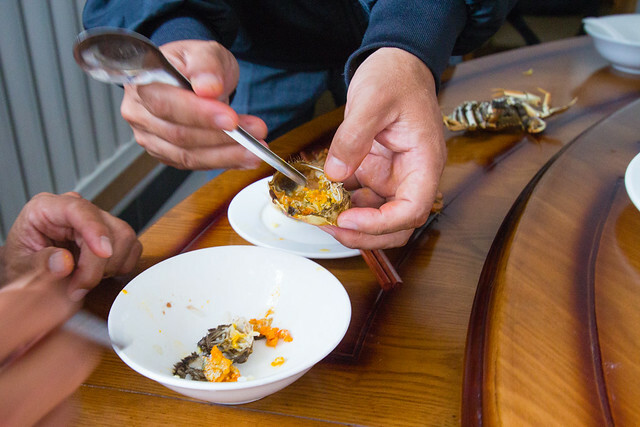 All of us were unexperienced at eating Chinese mitten crabs, so the owner showed us how to eat it. The abdomen is popped open first to take out the yucky stuff, and the orange colored yolk is eaten. 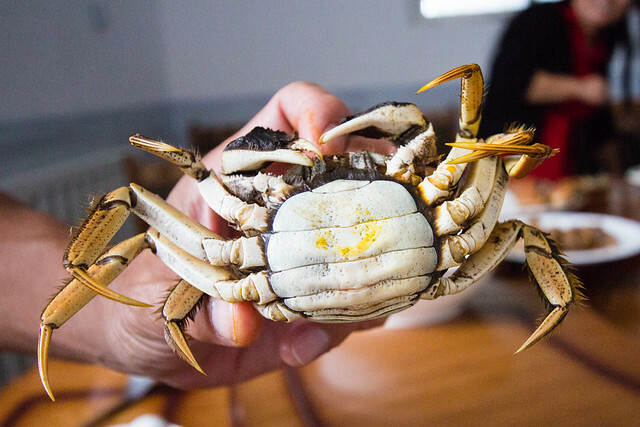 Then you break off the legs and break the shell to eat the crab meat. 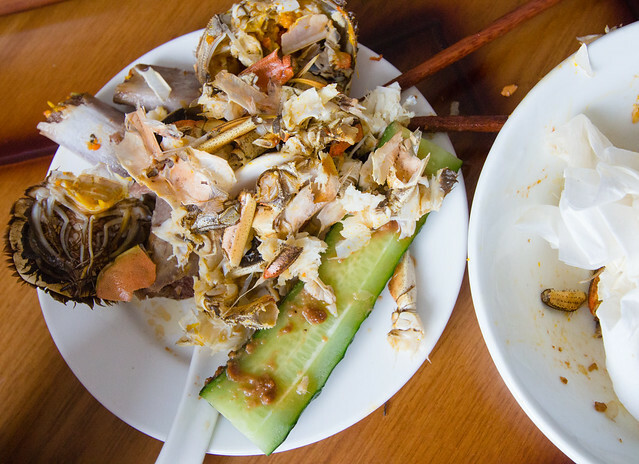 Each crab was so small and the legs were so tiny, that it took me forever to eat just one crab. However, the crab meat and yolk were very tasty. 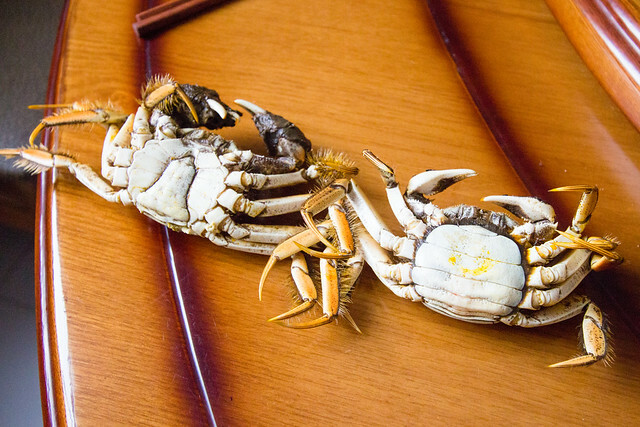 There were many hawkers all over Panjin selling these crabs. We stopped by one or two to check out the price, which turned out to be more expensive than if you were to buy at the market. It’s always better shop at the local market for a more reasonable price and guaranteed freshness!